That travel size came in very handy when coming away with me this weekend! Rockstar Tan, created by former Fair City actress Rachel Kavanagh, has been raking in awards across the board. I was offered the chance to find out why and, as a self tanning novice, took the easy option with Fame, the brand's Instant Mineral Wash Off Tan. Fame is a mineral tan that, like all products in the Rockstar range, is suitable for both the face and body and made with natural, organic and skin nurturing ingredients. This weekend's wedding was the perfect chance to put it through its paces. Despite squeezing out alarmingly dark, it gives a lovely medium tan that looked natural and, using the Rockstar Tanning Mitt, was exceptionally easy to apply: slapdash is my middle name, and I ended up with an even, streak free finish. It's water resistant and stayed put until I washed it off with soap the next morning. The only downside was that I noticed a little bit of colour transfer to the inside of my dress - it was perhaps more obvious because I was wearing a pale colour. But the outfit was heading to the dry cleaners anyway and when it came back, there was no sign of the tan. 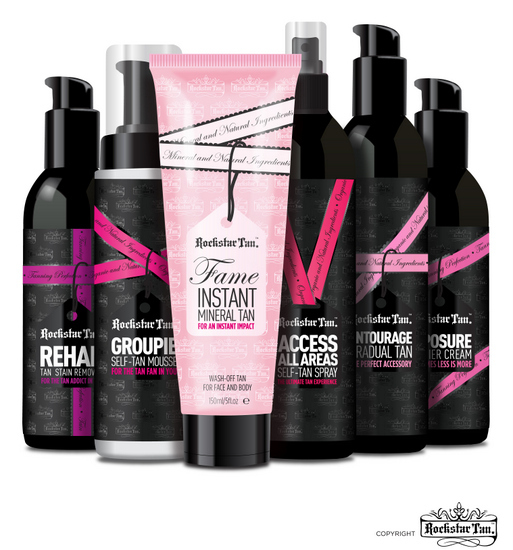 Find Rockstar Tan at Boots, selected pharmacies and their Online Shop, or check out their website, Twitter or Facebook page for more. And for more great Irish brands, make sure you check out the other posts in this series! I wanted to try this ages ago and never did! Thankfully don't need fake tan anymore- it was the bane of my life! try some old school sun shimmer in matte or sparkly mrs. smells lovely, streak free and a buildable, natural beautiful tan. 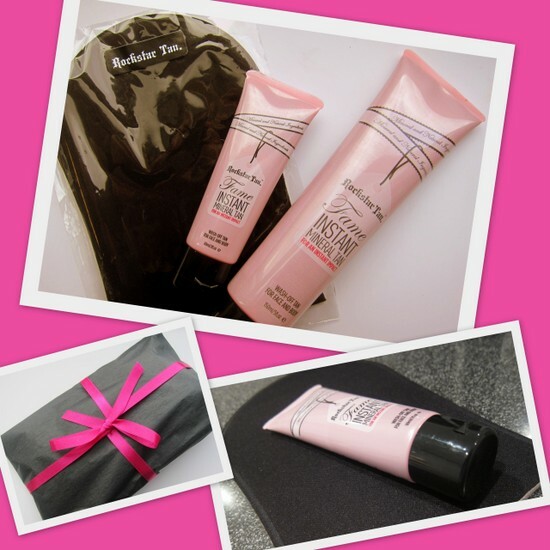 also lovely under foundation for a sun kissed healthy glow! AND you can buy four bottles for the price of the above! Have not tried this but am always happy to support Irish companies/products? Have you tried this and Karora? Wonder what are the main differences? They sound the same! Good for Rachel - I must try this. Oh my god you have to try Karora new Instant Tan. It is the best out there in terms of coverage and it is Irish and organic! My fav one! The only safe TAN! Love self tanners and can't wait to try this! Thanks for sharing. If anyone could use a bit of a tan right now it's me! I love the idea of using something mineral-based on my face too, I find it makes my skin feel much cleaner than other types of makeup! i am in desperate need of a tan for summer! this looks like such a great product, thanks for sharing! !